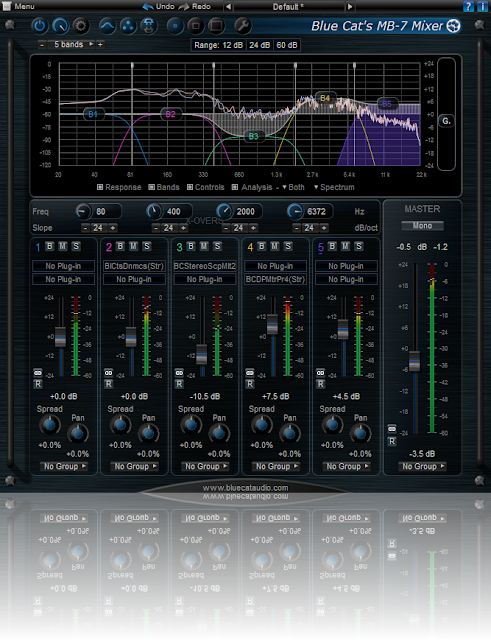 Blue Cat Audio has released v 2.0 of their Multiband MB-7 Mixer plugin. It has "the ability to host up to 4 VST plug-ins per band and sports a brand new modular user interface, with lots of new features and enhancements: a spectrogram display, a new presets manager, multiple display sizes, new MIDI and automation mapping capabilities, and much more..."
Take a look at this show and tell video by Russ Hughes at Protools Expert. Plus there's an exclusive 30% off deal.